1.1 Review and Approval – CIAC Board of Control Minutes – December 3, 2015 – The Board reviewed the minutes from the December 3, 2015 Board of Control meeting. 1.2 Treasurer’s Report – Board reviewed the Treasurer’s report. Motion to approve the 12/3/15 minutes, and the treasurer’s report as part of consent agenda – L. Panagoulias / E. Baim – Approved. 1.3 Letter of Self-Report – Weekly Contest Limitation – [ ] Girls Cross Country – The Board considered a self-report from [ ] High School for a violation of the weekly limitations by the girls cross country program. The coach scheduled three competitions in a week to protect against the possibility that a meet against one school might not take place, but ultimately did have runners compete in that competition, which was more than allowed in weekly limitations in cross country. There was some feeling among the Board members that while the violation was clear, the opponent in question is notoriously unreliable so it might be prudent to formally sanction the school and rescind the fine. Motion to fine the school $250 for the violation – D. Sullivan / M. Ryan – Approved. Motion to rescind the fine – M. Ryan / B. Smith – Denied. 1.4 Letter of Self-Report – Out of Season Coaching – [ ] Girls Basketball – The Board considered a self-report from [ ] High School for a violation of the out-of-season coaching rules by the girls basketball program. The head coach conducted a clinic over the summer open to all athletes, but within the clinic had individual instruction session with members of the basketball team, violating out-of-season coaching rules. 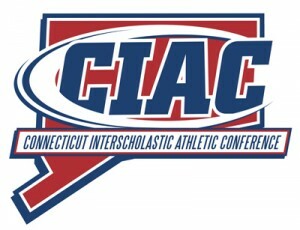 The school required the coach to review out-of-season coaching rules as well as complete Connecticut Coaching Education Module 5 – CIAC Rules and Regulations. Motion to fine the school $750 ($250 per incident up to $750) – D. Sullivan / B. Smith $750 – Approved. 2.1 Steve Wysowski (on behalf of Karissa Niehoff) presented a brief report on the NFHS Winter Meeting for Association Executive Directors. The most noteworthy development was in-depth information on the dismissal of a lawsuit concerning concussions against the Illinois High School Association, which is a significant development for all state associations. 3.1 Unified Sports – George Synnott reported Unified Sports held its annual Leadership Symposium and had a record turnout of 440 students attending. He will also be attending a conference in Phoenix in the coming weeks with Special Olympics staff from around the world where he will be presenting the Connecticut Unified Sports model as one to emulate for other states and countries. 3.5 Sports Medicine – Dr. Carl Nissan reported that the first football season of RIO reporting has gone well and he has contacted the RIO staff and can report the Connecticut data is being separated as we speak. 3.6 CATA – Meghan Lewis reported she had no new updates from the Trainers Association. 3.7 CAAD – Dan Scavone reported CAAD is holding its annual conference the third week of March, the week of Good Friday. The event will run Tuesday-through-Thursday of that week. The group is also creating a new Hall of Fame and the honor ceremony will be modeled after the CAS-CIAC Hall of Honor ceremony. 3.8 CHSCA – Barbara Hedden reported the Coaches Association is monitoring and preparing to offer input on possible CIAC policy changes regarding the change of competition season for golf and road race participation in cross country. The group is reviving its coaches picnic which will take play June, and the Coach of the Year banquet will take place May 12. She also expressed the Association’s congratulations to Joe Tonelli on being inducted in the NIAAA Hall of Fame. 3.9 Officials –Joe Tonelli reported that spring sports officials interpreter meetings will begin soon, with the information then being shared with officials across the state. He stated be believes Spring sport officials interpreter meetings. Communication between officials groups and schools improving. 4.1 Eligibility Committee – B. Smith reported the Eligibility Committee heard two cases, tabled one and approved another. 4.2 Eligibility Review Board – Did not meet. 5.1 Steve Wysowski discussed some possible action for the Board upcoming including revisiing policies on participation in road races for cross country runners, changing participation seasons for boys golf and additional sports looking to fill brackets. He also noted there may be a need to examine the penalty structure for certain policy changes or new policies the Board has implemented in recent years. 6.1 Matt Fischer / Joel Cookson – No report. 6.2 Robert Lehr – No report. 6.3 Joe Tonelli – No report. 6.4 Stephanie Ford – No report. 6.5 Paul Hoey – Informed the group the boys and girls Soccer Committees are now considering filling the tournament brackets to 32 teams similar to the policies adopted in basketball and baseball. At its Jan. 12 meeting the baseball committee agreed to adopt a pitch count rule beginning with the 2017 season, and will continue to work on the details before finalizing the policy. The Golf Committee continues to work on crafting a formal proposal to move the boys golf season to the fall, with the intention of having the explicit proposal vetted by constituency groups and then to the schools before it comes to the Board. 6.6 Steve Wysowski – Informed the group while final numbers are still coming in, it appears to have been a very strong fall championship season, including strong income from football after some challenging years. 6.7 Karissa Niehoff – No report. 7.1 Steve Wysowski updated the Board on a notification from [ ] High School that one of the students involved in the sanction of the [ ] High School football team will be returning to [ ], and the school is aware he will be ineligible through 50-percent of the fall 2016 season. He noted that there were was currently no other action or issues pending from that Board ruling but would keep the Board members apprised if future issues arise. NOTE: Next Meeting of the Board – February 18, 2016 – 2 p.m.